This Sunday saw not only the return of the Oscars, but Offwestend.com’s inaugural awards bash celebrating the best of independent theatre from the past year. Held in the beautiful Wilton’s Music Hall, this refreshingly informal, chatty and big-hearted occasion was marked by raucous laughter, a lot of booze and a great deal of joy. It turned a spotlight on the creativity and innovation of the London fringe scene which had long been overdue. 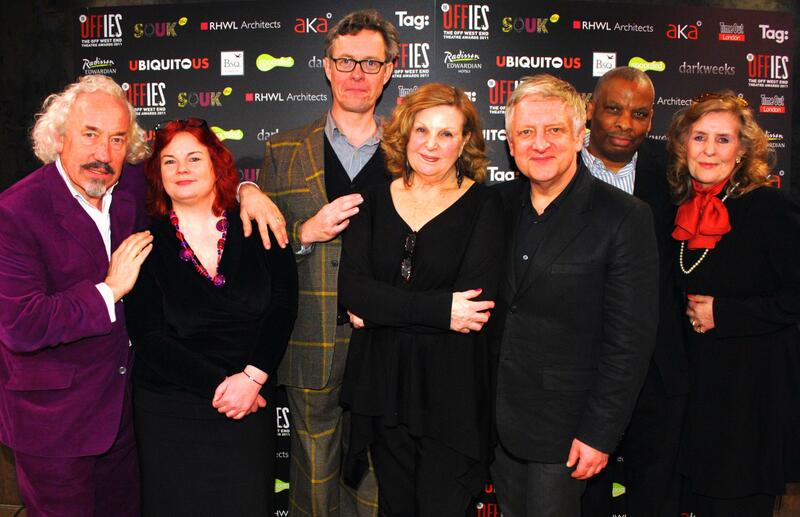 The “Offies” were the brainchild of flame-haired Sofie Mason, an arts fundraiser who set up Offwestend.com a couple of years ago to boost the public profile of writers, plays and venues throughout London. In the 12 months leading up to this January, a large team of assessors saw more than 300 productions. Of these, they each submitted a whittled-down list of candidates for awards to a critics’ judging panel consisting of Mark Shenton, Matt Wolf, Ian Shuttleworth, Roger Foss, Dominic Cavendish, Daisy Bowie-Sell and Paul Vale. There were also a number of categories voted for by the public, including, brilliantly, Best Theatre Bar and Best Foodie Experience. The winners eventually chosen by the panel were presented with their awards by an impressive roll-call of big-name actors, including the unfeasibly tall Alex Jennings and a slimmed-down Simon Russell Beale (who takes to the stage in a ballet version of Alice in Wonderland this evening). Meanwhile, the velvet-voiced Don Warrington regaled the audience with his story of an old couple who arrived at one of his shows with a thermos and sandwiches and called out “come again soon” to him at the end of the performance. The ceremony was hosted by the inimitable Simon Callow, a vision in purple who managed to dominate the stage even when he wasn’t on it by, at one point, tumbling down the wooden steps leading to the auditorium floor. Luckily, he quickly reappeared, smiling, slightly dishevelled but unbruised. Assassins, at the Union, did particularly well, winning both Best Production and Best Sound Designer. Meanwhile, Thom Sutherland picked up Best Director for Me and Juliet at the Finborough – which attracted a Best Artistic Director award for Neil McPherson (who must already have been riding pretty high on the success of Accolade). Nina Raine’s Tribes won Best New Play and Michelle Terry Best Female Performance for her role in it. Danny Webb took away a Best Male Performance award for his turn in Blasted at The Lyric. Once the awards had been handed out and a few disappointed nominees had made an early exit, the winners helped themselves to several glasses of fizz to celebrate their well-deserved success and to loosen their tongues during the interviews that followed. See below for a full list of who they were and what they won.